Merry Xmas and happy New Year! Best wishes for 2012. Hi Lisa, wah... your ginger bread house so cute and beautifully decorated. 2 thumbs up for you. Dear Lisa, Happy Holidays to you too! We had your curry again for Xmas dinner - absolutely delish! I think it just might have cured me from a week-long cold! I should have made it earlier instead of the chicken soup ;-). Thanks again, have a sweet and delectable year and please keep sharing all these wonderful recipes! Your gingerbread house looks magical. And happy holidays to you too. 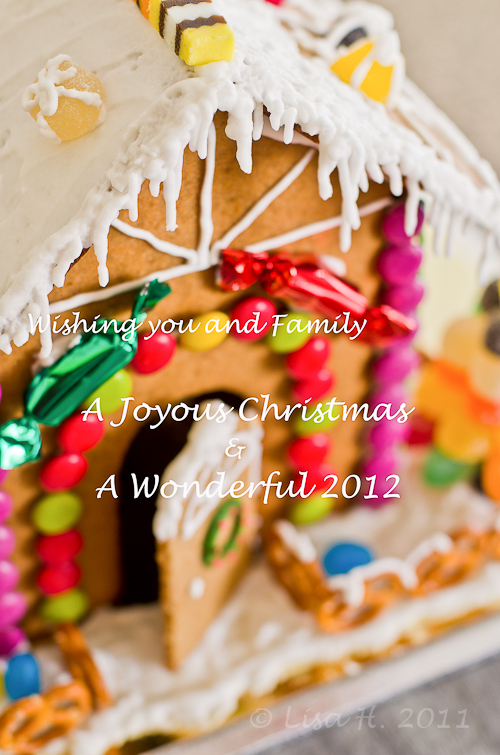 Wish you and your family a wonderful 2012 too :)! I hope you had a wonderful Christmas! Happy New Year and look forward to your new posts in 2012!